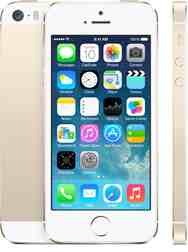 The iPhone 5s is available here and there in the U.S. for Verizon but is in severe short supply for AT&T. I’ve checked several stores including Best Buy, Walmart, Radio Shack, Apple, AT&T and Sam’s Club. More than two weeks after the iPhone 5s debuted, it’s the same story at every store – No stock of iPhone 5s for AT&T. A Walmart store on the East Coast even had a small notice in its Electronic section stating that the iPhone 5s (16GB version) is available for Verizon. Ask for iPhone 5s for AT&T and you’ll draw a blank. There are no supply constraints for the 5c. iPhone 5s’ sporadic availability for Verizon but not for AT&T suggests one of two things – Not as much demand for the Verizon model or that Apple is shipping more iPhone 5s devices for Verizon. Bear in mind that if you buy the iPhone 5s for Verizon you can’t talk and surf at the same time (unless you’re using a WiFi network). It’s a problem Verizon had with the previous generation of iPhones too because the company uses the older CDMA technology.